Paula Berg, Manager of Emerging Media at Southwest Airlines, joins Max and Dan for a discussion of how Southwest communicates with it’s customers through participation in new media. Dan has a great aviation website pick of the week: CH-Aviation. We’ve also got a report from the guys at the Australia Desk, our new “this week in aviation history” segment, listener mail, and more. Follow the Airplane Geeks on Twitter at @AirplaneGeeks. Brother Love is responsible for this episode’s opening and closing music, and you can visit his site at brotherloverocks.com. You can also leave us voice mail at (812) 757-4252. If you have a question or comment you’d like mentioned on the podcast, this is the best way to go about it. 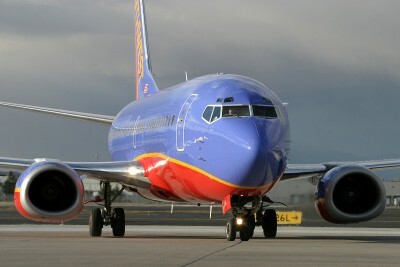 This entry was posted in Episodes and tagged accident, Air France, Airport, American Airlines, Boeing, Southwest on June 16, 2009 by maxflight. – Boston, MA (BOS) and Santo Domingo, DR (SDQ) starts June 19, 2009. – Boston, MA (BOS) and Baltimore, MD (BWI) starts September 9, 2009. – Barbados (BGI) and New York, NY (JFK) starts October 1, 2009. – Saint Lucia (UVF) and New York, NY (JFK) starts October 26, 2009. – Kingston, Jamaica (KIN) and New York, NY (JFK) starts October 30, 2009. So while others are cutting back, we are expanding. I enjoyed listening to Paula Berg from Southwest Airlines and the Australia desk as well as Adam giving the report on the biwing event. I hopefully will be able to contribute some news also as soon as I get a microphone and can make you an mp3. Take care and keep up the good work on the podcast.